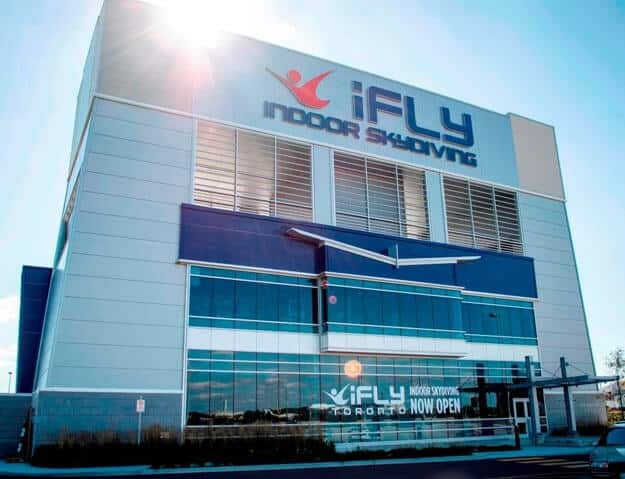 iFLY Toronto is a 14 foot recirculating model which is similar to the existing Canadian wind tunnel SkyVenture Montreal. This location is now the 1st of two facilities in the city. 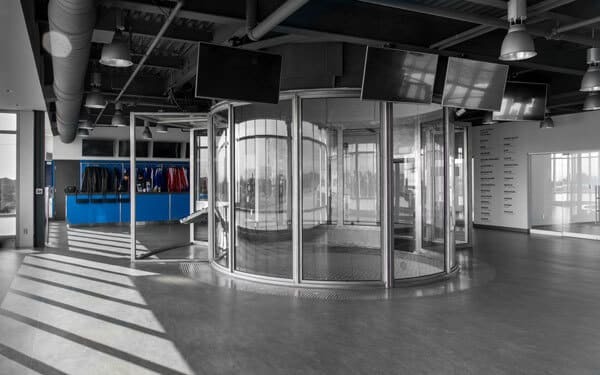 The second being iFLY Whitby. Average rating of 4.2 from 5 review(s). 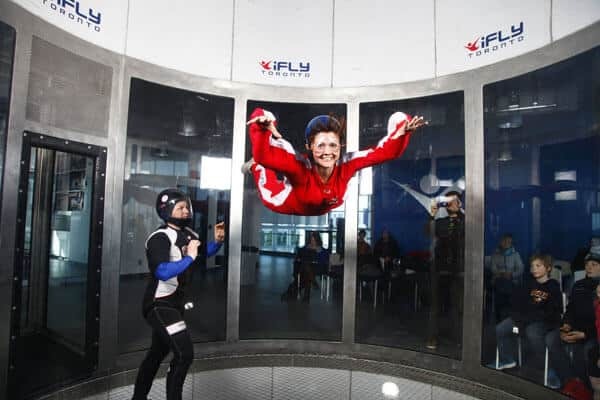 WOW WEE, had a great time and the staff at iFLY where amazing. When I was in the military, I did three jumps... never experienced "free falling" and have always been disappointed I never did... life got in the way... but not anymore!!! WOOT WOOT, living my youth again and having a blast. Can't wait to start the Wind Tunnel Training Program... come join the fun, you won't be disappointed. This was our first time and we were little nervous. However kudos to our trainer MATT as he made the whole experience so easy and fantastic that we immediately booked for the next flight as they were offering 50 % discount for four flights. Fantastic experience. I will be returning. I'm not happy that I would have to pay $180.00 for my 19 yr old grandson who has Down syndrome to participate. The normal fees apply for my other three grandchildren but I can't buy their flying Christmas presents as I can't leave Jacob out. Awesome place, best instructors I've ever met!